In the last race of the season, pretty much every driver in the field vied for the lead going into the first corner at Portland. 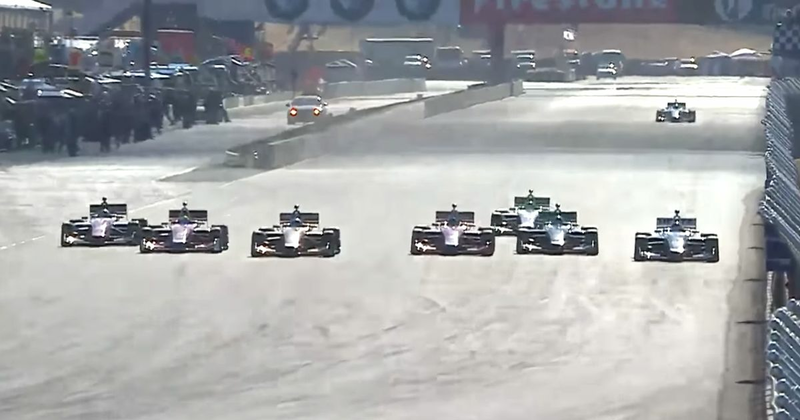 OK, that becomes slightly less impressive with only eight cars on the grid, but that doesn’t make the six-wide moment any less spectacular! Of course, six cars into one doesn’t go and it predictably ended in contact. The craziness wasn’t quite over, though - Dalton Kellett was faced with the choice of either taking the long way around back to the circuit, or slowly navigating between some barriers. He chose neither option and instead floored it through the cardboard advertising hoardings, pulling a sweet wheelie on the way. Ahhh, junior championships. Don’t you just love ‘em?